I find myself in the awkward position of being in full agreement with Prof. Laurence Helfer’s criticism of the “broad brush” approach used in my EJIL article to describe trends in international adjudication (this is not surprising; often I find myself nodding in agreement when reading Helfer’s first-rate academic work). When writing overview articles such as “No Longer a Weak Department of Power?“, the dilemma is always whether to focus on the forest or the trees. Obviously, my choice of the “forest” – the general trends in international adjudication – entailed a superficial, almost caricature- like, treatment of the “trees” – the specific courts. Readers of my article would there be well-advised to remind themselves of the many shortcomings of the approach I have selected. Indeed, the recent ASIL article by Alter and Helfer focusing on the Andean Court of Justice is an excellent illustration of the unique nature of some regional courts and of the unpredictable way in which their work and impact develops over time. Still, I would defend the following position: While the effectiveness of different courts varies dramatically across regions due to the background “legal and political dynamics” that influence their work, the goals set for regional courts upon their establishment tend to converge. This happens, to a large extent, as a result of the “copycat” motivation that leads law-makers to “implant” models of successful legal institutions across regions and regimes. So, for example, the perceived success of the ECHR, has led to the creation of the comparably structured I/A CHR and fledgling African Court of Human Rights (now part of the African Court of Justice and Human Rights). Although the three courts encounter very different legal and political problems and have widely divergent records of achievement (meaning that the “implant” has been sometimes rejected), they appear to share, as a result of their derivation from a common “prototype”, a strong commitment to promoting respect for human rights and to holding member states accountable. Hence, the I/A CHR and the ACHR, like the ECHR, are illustrative of the new ethoi of international courts – enforcing norms and building an international rule of law. 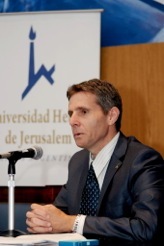 In the same way, regional economic courts in Europe, Africa and Latin America, all modeled to some degree or other after the ECJ, seem to share a commitment to the smooth functioning of the economic regime in which they operate, and to maintaining the equilibrium between the member states’ rights and obligations. Of course, such courts sometimes succeed, sometimes fail and sometime partly succeed and partly fail. The “rule of law islands” identified by Alter and Helfer are indeed a fascinating phenomenon, which I intend to study further in my future work on the effectiveness of international adjudication (I am currently coordinating a study group on the topic of international judicial effectiveness). But for the purposes of my EJIL article, I was less interested in the actual emergence of islands and more in navigating the sea – describing the new directions in which the ship of international dispute resolution sails. These new courses differ from the traditional “dispute settlement”/”war prevention” ethos, which the first generation of international courts espoused. Another interesting development which Helfer notes, and which I fail to discuss in the article, is the emergence of new hybrid international courts (not in the conventional “criminal” courts sense of the word). The ECOWAS, East African and Caribbean Courts mentioned by Helfer all represent an interesting extension of economic integration courts into the field of human rights. The establishment of the aforementioned African Court of Justice and Human Rights and the ECJ’s Kadi decision suggest that we may be witnessing a new trend that represents a move away from specialization, fragmentation and “self-containment” of regional economic courts towards a more generalist or inter-subject judicial approach on their part. This move, which merits further study, may actually strengthen the image and ethos of international courts as “international rule of law” institutions, whose role and influence exceeds that of the regime in which they operate. Finally, Helfer is correct in noting my ambivalence towards the less-than-consensual adjudication of sensitive and politically-charged disputes before international courts, such as the ICJ. Most probably, such ambivalence on my part represents a clash between my realistic and utopian impulses. So, the realistic answer I would give to the question of whether the ICJ is expected to offer a meaningful contribution to the resolution of violent conflicts, such as the Russia-Georgia conflict, is most probably not; and I would give an even stronger negative answer to the question whether the ICJ should generate unreal expectations about its dispute-resolution capabilities in such circumstances. But acknowledging the Court’s limits does not imply that it should avoid altogether handling such cases (that is, when a plausible jurisdictional basis exists; I am not suggesting that this was the case in Georgia v. Russia). In a way, the Court’s disappointing track record in addressing high-political conflicts has lowered expectations from the Court to such a degree that, by now, it can only positively surprise us: By providing some normative guidance, a certain measure of accountability and a “focal point” for international debate, the judicial process may offer an incremental progress towards extending the notion of the international rule of law into the high politic realms of international relations. We are not there yet; and it would be counter-productive to maintain that we presently are there. Still, I would maintain that slowly pushing the envelope in that direction is desirable, if not imperative.